Alexa Chung just may be one of the top influencers when it comes to all things denim. From contributing to the jean skirt’s major comeback with her AG Jeans collection to her friendly reminders to “never say never in fashion,” the street style star’s sartorial lessons are endless. So as we embark on Denim Week here at Who What Wear, who better to school us on our baby blues than Chung? 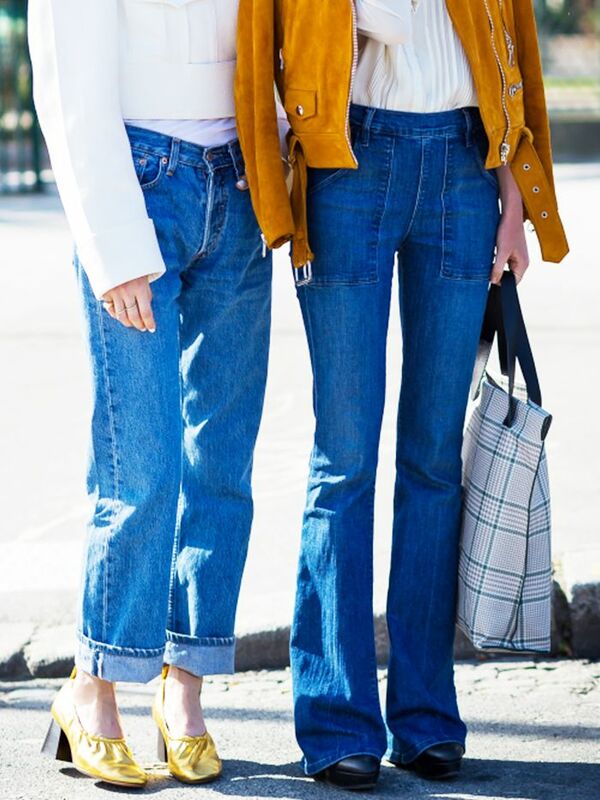 Here are our favorite things that Alexa Chung bestowed on us about denim. 1. A denim dress is the cool-girl alternative to your standard party dress. On Chung: Alexa Chung for AG The Pixie Lonestar Dress ($325). 2. Consider a tuck to keep a casual jeans-and-T-shirt ensemble polished. On Chung: Alexa Chung for AG The Brianna High-Waist Skinny Jeans ($78). 3. Balance distressed denim with classic staples pieces, like a crisp button-down shirt. On Chung: Alexa Chung for AG Sabine High Waisted Straight Leg Jeans ($225) in 18 Years Patched With Love. 4. A button-front denim skirt is your new best friend. On Chung: Alexa Chung for AG The Kety Denim A-line Mini Skirt ($178) in Dark Blue. 5. Feminine details go a long way. On Chung: Alexa Chung for AG The Julie Denim Dress ($193). 6. When in doubt, opt for a cuff for an easy styling trick. On Chung: Alexa Chung for AG Loretta Denim Jumpsuit ($345) in Exact Enemy. 7. A flare will do wonders to elongate your legs. On Chung: Alexa Chung x AG Revolution Jeans ($82). 8. High-rise waistlines are here to help. On Chung: Alexa Chung for AG Revolution Jeans ($82). 9. Sometimes classic cropped skinny jeans are still best. Keep scrolling to shop the story! Think we missed something? Share your denim lessons in the comments below! Plus, shop our favorite denim pieces now.